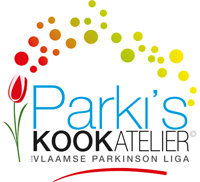 Parki’s Kookatelier is a Belgian project focusing on specialised nutrition for people with Parkinson’s disease. The authors are Yves Meersman and Randy Mellaerts. Mix the soft butter with the herbes de Provence mix (or Provençal taste booster), salt and pepper. Remove any bones from the fish fillet. Dust the fish in flour, shake it off well and season with salt and pepper. TIP: Prepare the herb butter the day before, this generates a stronger flavour. Heat the herb butter briefly in a frying pan and fry the fish on both sides for a couple of minutes until they turn golden brown. 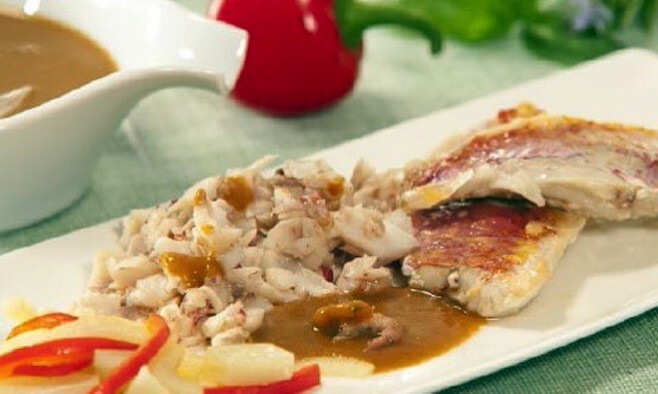 Remove the fish fillet from the pan and put it in a butter-greased oven dish. Put the dish into a preheated oven at 120 °C and cook until the fish is ready for about 8-10 minutes. Turn the fish during baking at regular intervals. At the end of the baking time, sprinkle with lemon juice. Cut, mash or mix the fish until required consistency level. Use fish stock or fish sauce to moisten the fish for easier swallowing.